Are you having trouble with your makeup staying put during the day? Is it harder for you to see with your glasses off when you apply your makeup? Do you have an active on the go lifestyle and you need a quicker makeup routine? Do you live on the lake and you're constantly hosting a lot of visitors? This magic stay put makeup might be the perfect secret 'makeup tool' for you. Eyebrows have evolved over the decades from skinny to bushy brows. Mother nature also steps in and hands us skimpy and patchy brows because of hormones and the natural aging process. 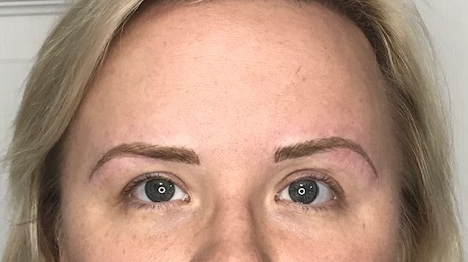 This procedure can help you achieve a more natural looking 'recovered' brow. Brows are measured and stenciled prior to getting the procedure started so we can have you leaving confidently with your new look. Has it become more difficult for you to apply your makeup with out your glasses on? Are you an active on the go person that wants to have stay put makeup? 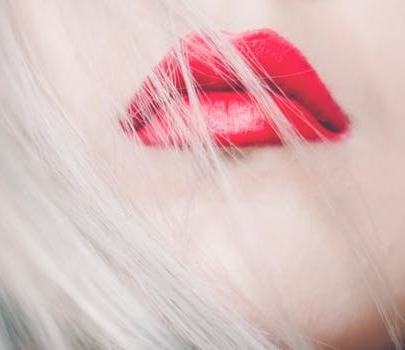 This 'makeup' procedure will give you back some of your life and quicken your getting ready for the day, work, special occasions etc..
As we age, the borders to our lips start to lose their definition and fullness and the color starts to fade. This procedure can help you achieve that lost border definition and fullness. A beautiful lip color can range from a natural pink to a ravaging rich color. Just picture... no more lipstick on your teeth and always kissable lips without the smudging are a great side effect too. Is it a tattoo? It is similar but, not the same... 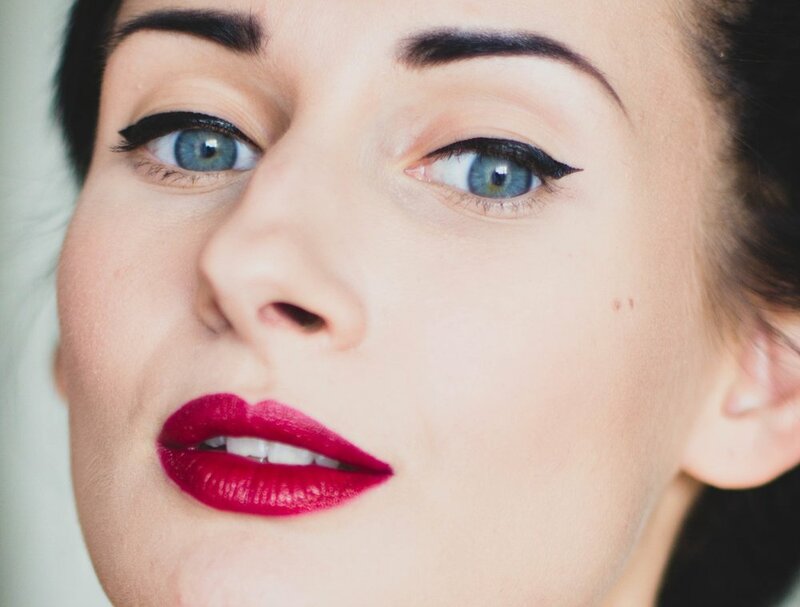 Permanent Makeup is cosmetic tattooing which is softer and more subtle for Eyebrows, Eyeliner and Lips than traditional tattooing to enhance our natural beauty. How long does Permanent Makeup last? It varied from person to person but, typically 2-3 years. This procedure could last a lifetime with attentive care and maintenance. Since the pigments used are designed to gently fade over time (which allows for future changes to happen in shape or color) a color boost appointment (typically every 2-3 years) will help you to maintain your desired results... and a lucky few never need any other work done. Is it Painful? Not much... a very effective lidocaine topical numbing cream is applied to lessen your sensitivity to the procedure. You might experience some discomfort if you are menstruating, a smoker or you have Fibromyalgia. Can anyone have this done? You must be 18 years old , you are not pregnant or nursing and without Accutane for 1 year.